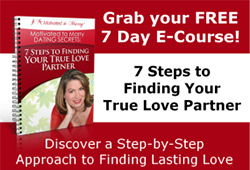 Who accompanies you to your single’s events to find love? Spring is in the air and you may be looking to get out from the computer and seek out a singles groups’ activity. When you do show up to a singles events to meet eligible people for dating, that takes a lot of guts, especially if you are going by yourself. However, when you walk into the room, you are really not alone. You bring all your too familiar voices that are in your head with you. What are they telling you in your quest to find love?